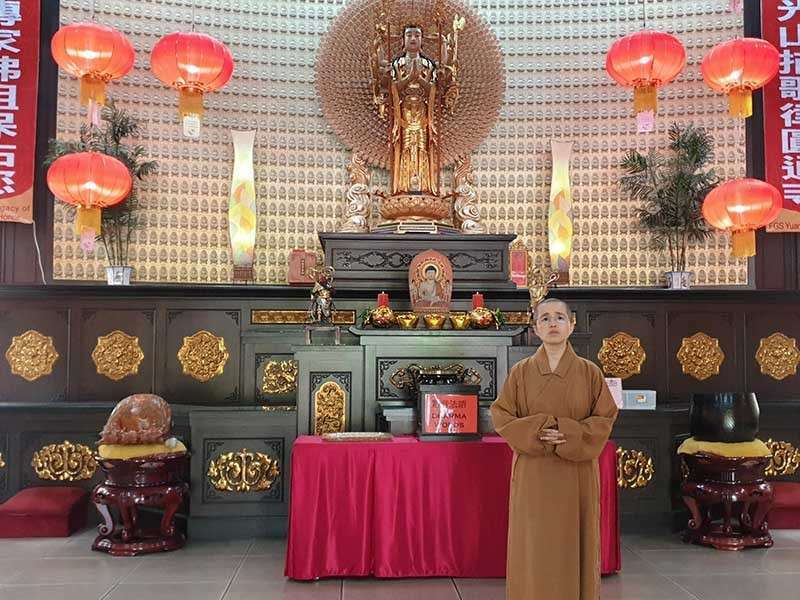 MASTER Miao Ren, abbess (priest) of the Bacolod Yuan Thong Temple at Barangay Villamonte in Bacolod City, said that 2019, the Year of the Pig, will bring success and fulfillment to everyone. She said that the people should value wisdom because it brings success. The Bacolod Yuan Thong Temple held several activities for the Chinese New Year revelry this year, with the theme “Be well-rounded and auspicious." Their activities included Chinese calligraphy, New Year's Prayer Fortune and giveaways, cultural show, Chinese costume photo booth, photo exhibit, vegetarian food bazaar and souvenirs, light and wishes, ring the auspicious bell and theme lantern. The Bacolod Yuan Thong Temple is one of the four branch temples of Fo Guang Shan Buddhist Order in the Philippines. It was founded in 1991. The name Yuan Thong Temple was given by the founder, Venerable Master Hsing Yun, and was dedicated to Guan Yin Bodhisattva also known as Avalokitesvara Bodhisattva. The Yuan Thong Temple propagates Buddhism. According to the four main objectives of Fo Guang Shan, to propagate Buddhism through culture, to foster talents through education, to benefit society through charitable programs and to purify human hearts and minds through Buddhist practice. Dharma prayers are organized every first and 15th day of the month in lunar calendar to help the people practice the teachings. Different classes are offered under the San Haw Art and Culture School to help others learn and be educated. Through the charitable programs and activities with the barangay, harmonious relationship with the neighborhood was established. The Yuang Thong Temple is expected to purify people's hearts and minds and bring stability to the society through the help of Guan Yin Bodhisattva's thousand hands and eyes to relieve those in distress by giving others joy, confidence, hope and convenience.